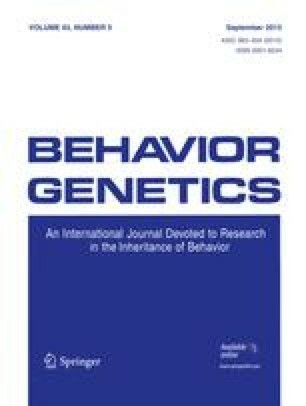 The powerful quantitative genetic design of identical and fraternal twins reared apart (112 pairs) and matched twins reared together (111 pairs) was employed to assess the extent of genetic influence on individual differences in cognitive abilities during the last half of the life span. General cognitive ability yielded a heritability estimate of about .80 in two assessments 3 years apart as part of the Swedish Adoption/Twin Study of Aging. This is one of the highest heritabilities reported for a behavioral trait. Across the two ages, average heritabilities are about .60 for verbal tests, .50 for spatial and speed-of-processing tests, and .40 for memory tests. For general cognitive ability, the phenotypic stability across the 3 years is .92 and stable genetic factors account for nearly 90% this stability. These findings suggest that general cognitive ability is a reasonable target for research that aims to identify specific genes for complex traits.